The renovations market will be worth a little under $30 billion in 2015; an increase of over $1 billion from last year. Figures released by the Housing Industry Association indicate a strong level of interest in either updating houses that are currently being lived in, or investing in properties that require improvement. Affordability and demand of renovations is aiding in the recovery, combined with favourable interest rates, economic growth and the labour market. 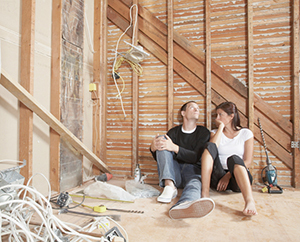 The home renovations market is a major contributor to Australian economics due to the substantial consumer spending and positive affects to employment; in particular within the labouring industry. The popularity and value of renovations activity fell in 2013 to $27.9 billion after peaking in 2011 at $33.1 billion. Windows and doors are two of the most common elements to be upgraded during renovation with advancements in style and technology pertinent to property value. Recent data suggests that renovations are continuing to recover at a slow but healthy pace, with the forecast of continued growth providing great news for the home construction industry and manufacturers of building products alike.